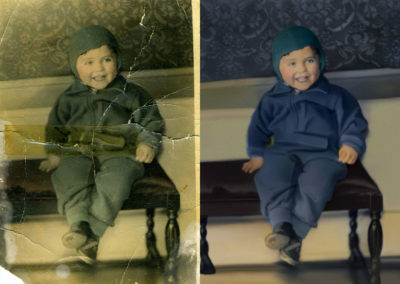 We can take your treasured photographs and bring them back to life with our professional restoration and copy services. 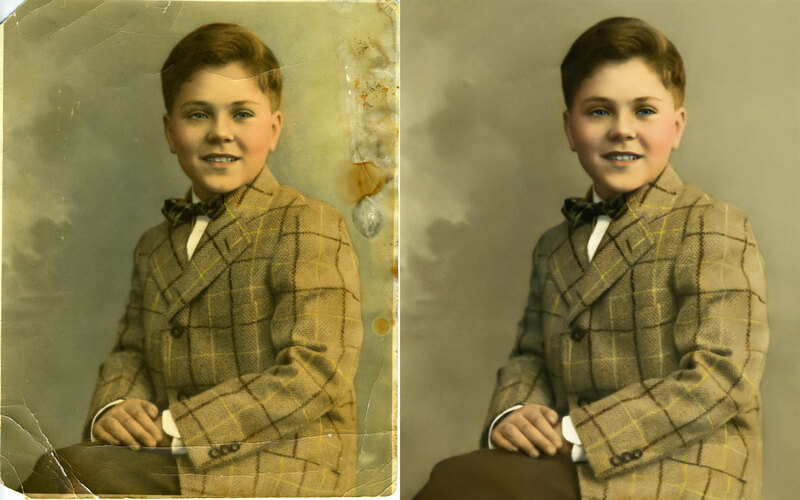 Your original photograph will be handled with tender loving care — we’ll copy it, then restore the copy — and return the original to you untouched. 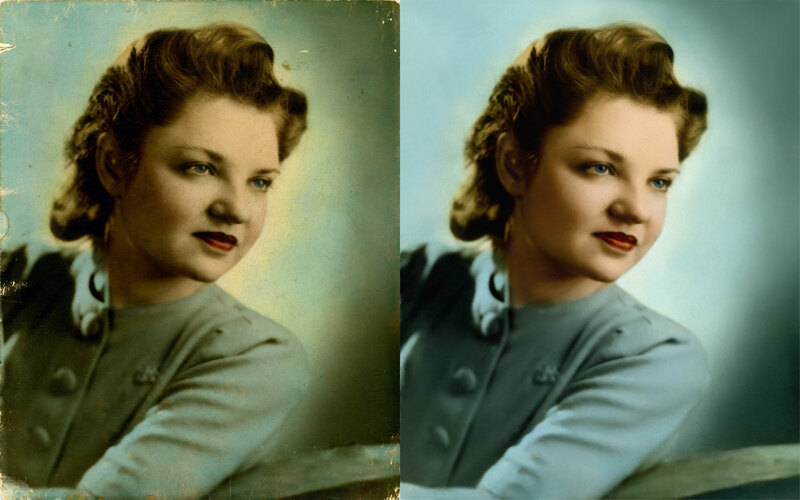 We’ll turn your old photographs into timeless works of art that will be enjoyed by generations to come. 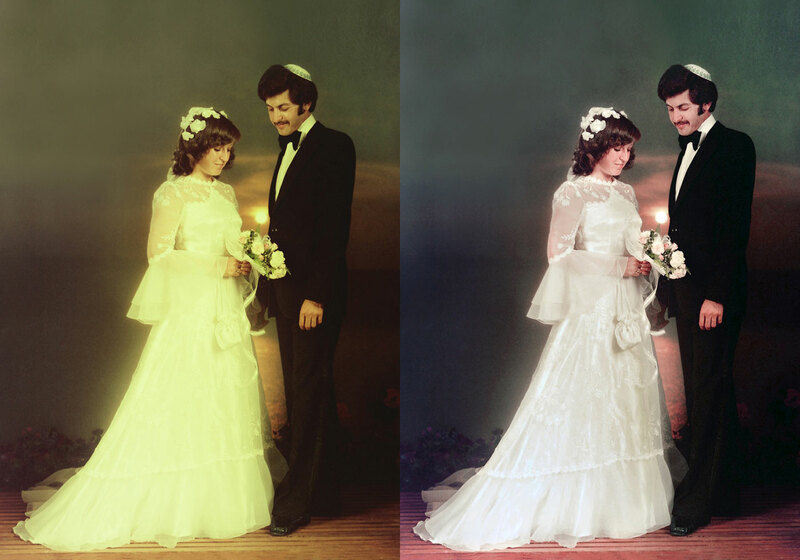 Copy Services — In some cases, your original photograph may be in perfect condition — but it’s the only one you have. Take advantage of our copy service. 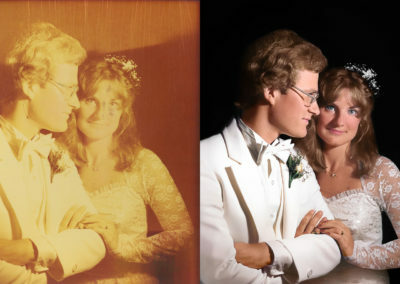 We use the finest optics available to reproduce your original with the sharpest results anywhere. 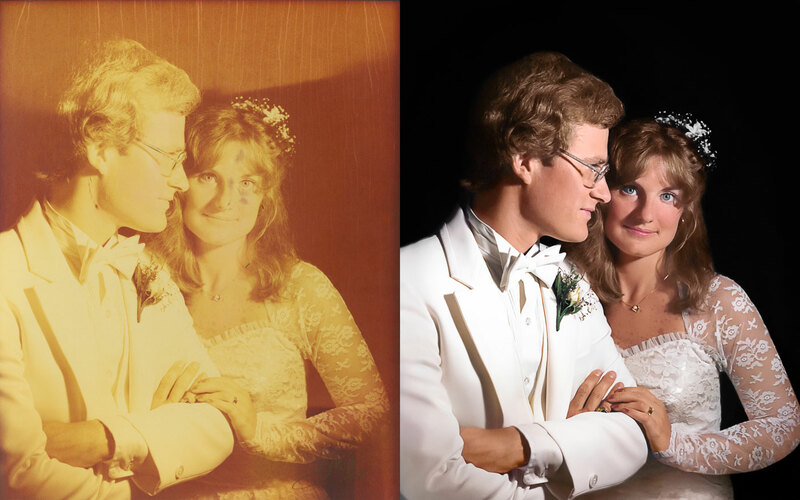 Whether you need one copy, or a thousand, each one will look as good as the original. 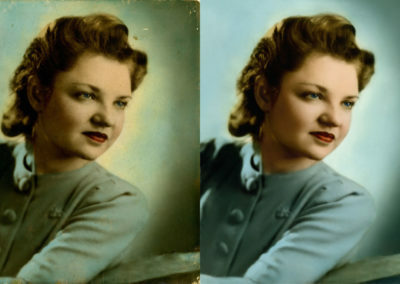 Restoration service — Bringing an old photograph back to life is in itself a form of art. It takes many long hours of skilled craftsmanship and love to restore your precious memories. 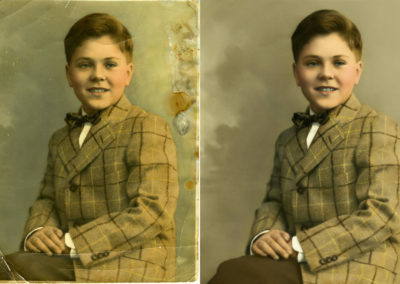 Since some photographs may require more care and attention than others, we offer various levels of restoration services. 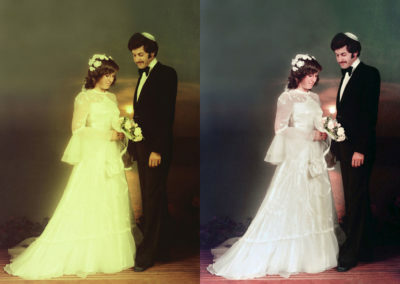 (And remember, all restoration is done on a copy print, so there’s absolutely no damage to your original).